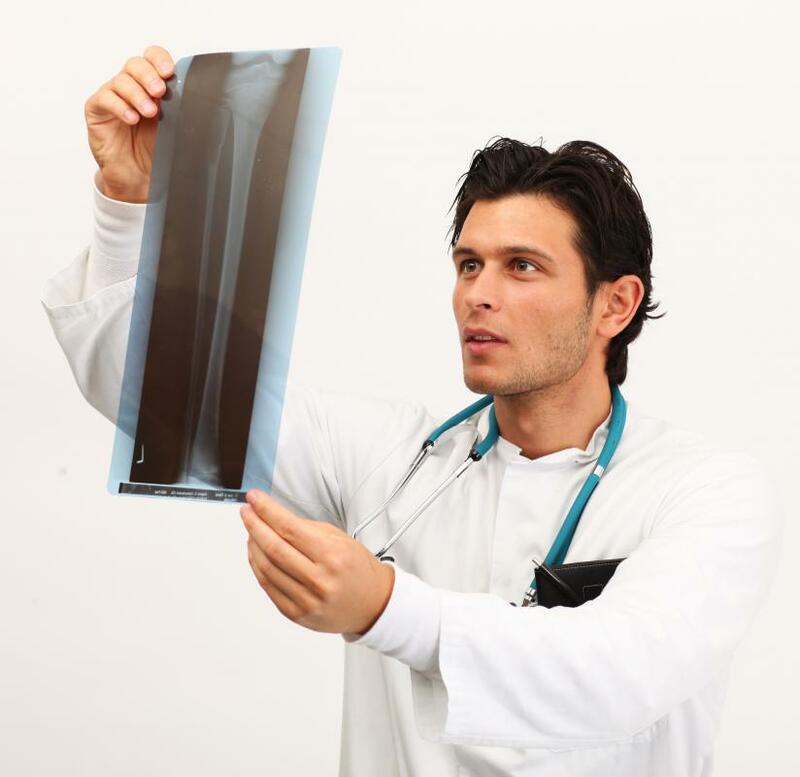 Orthopedic surgeons must be trained in the proper interpretation of X-rays. Orthopaedic surgeons usually spend time learning from experienced surgeons. Certification as an orthopedic surgeon is typically maintained year to year. In order to become an orthopedic surgeon, you must attend and graduate from an accredited medical school and complete years of residency specializing in orthopedic surgery. It is important for those interested in becoming a surgeon to have an aptitude for science and math, and you must earn an undergraduate degree with specific coursework to apply to medical school. Once all necessary schooling and residency is completed, you must obtain the appropriate medical license in orthopedic surgery for your region or area and maintain that license throughout the course of your career. While still in high school or grade school, anyone interested in orthopedic surgery as a career should focus on classes in math and science. It is also important to obtain competitive grades or marks in all classes and to score well on any standardized testing. This includes performing well on college and university entrance exams held in your region. When choosing what university to attend, you should try to apply to schools with pre-medical programs to ensure the appropriate coursework needed to apply to medical school is offered. Once attending college or university, classes in biology, chemistry and physics must be taken to apply to medical school in addition to other degree requirements. As in high school, you should attempt to earn high grades and marks, as applying to medical school is very competitive. While earning your undergraduate degree, you may wish to begin earning experience in a hospital by volunteering or working part-time for the office of an orthopedic surgeon. The next step to become an orthopedic surgeon is to attend medical school. You need to attend a medical school that has been certified and accredited by the local region's medical board in order to eventually achieve a license and become an orthopedic surgeon. Most areas have a standardized test for medical school admission that is used in addition to comparison of grades and student activities to determine acceptance into the school. In the United States, this is the Medical College Admissions Test (MCAT). Medical school itself typically consists of a set number of years in classroom instruction that concentrates on general medicine, diagnostics, and anatomy. The latter years of medical school are used for training within a supervised hospital environment in general medicine. Throughout the course of medical school, there are typically scheduled exams that work toward the certification process of becoming a doctor. The exact requirements and testing standards will vary from region to region. After medical school, the first real-world work to become an orthopedic surgeon is performed in the form of a residency. 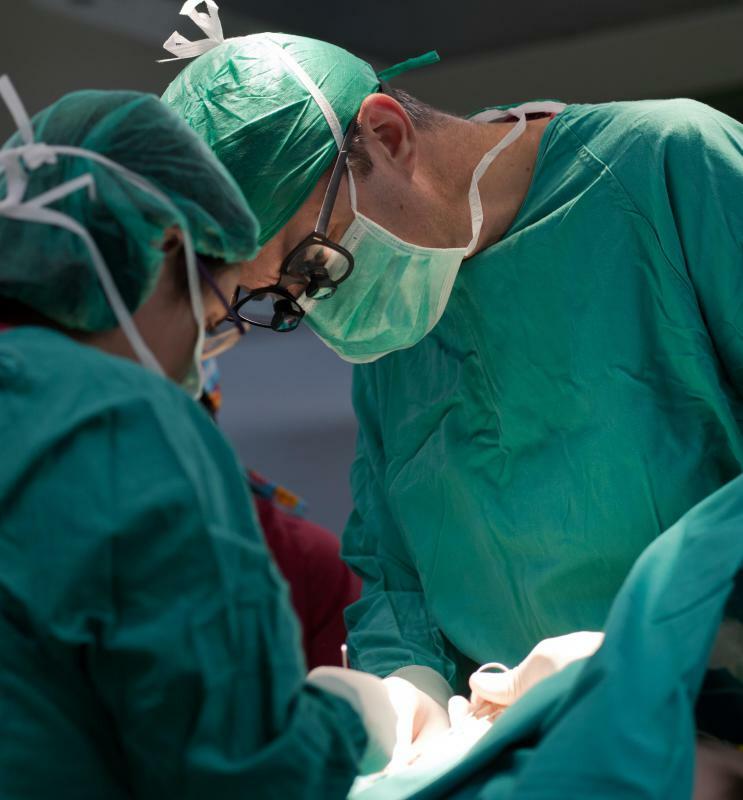 A residency is an internship for becoming a surgeon, with the first year generally focused on general surgery, while later years include specific orthopedic instruction and experience. A residency typically lasts four to five years and has an admissions process that includes a formal application and interview, with the interviewing hospital offering the internship. Board certification to officially be licensed and become an orthopedic surgeon occurs after the completion of an internship. After certification, you may work in a hospital, in a private practice, or in a specially offered fellowship program. Within orthopedic surgery, there are sub-specialties you may choose to practice as well, such as sports medicine or operating on specific areas of the body. Generally, certification as an orthopedic surgeon must be maintained year to year, but this may vary depending on your region. What Are the Different Types of Orthopedic Surgery Fellowships? What Is an Orthopedic Surgery Residency? 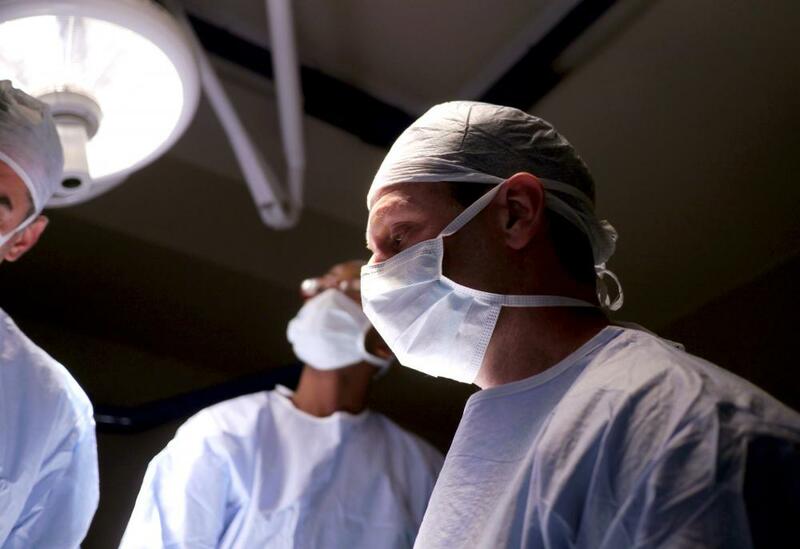 What Factors Affect an Orthopedic Surgery Salary? How Do I Get a Sports Medicine Fellowship? How do I Become a Scoliosis Surgeon?